Early Childhood, Elementary & Special Ed Students who will be doing their FULL-TIME INTERNSHIP in Fall 2018 must attend Thursday, December 7, Norman Hall Auditorium Room 137 – 9:30am ALL STUDENTS. Applications are invited from students of all majors for the Mary M. James Student Inspiration Fund opportunity, which was established to support student-created projects relating to the mission of the Harn Museum of Art. · Application difficulty: light paperwork, requires one faculty letter of reference and advance contact with a Harn staff member. o An evaluation study of object interactions undertaken in the museum. o A film on the impact of climate change on Alaskan native populations, which related to an upcoming Harn exhibition. · TeachNYC Academy: A series of job search webinars designed to give you the inside scoop on getting hired in our schools. If you have any questions please email teachnyc@schools.nyc.gov or call (718) 935-4000. We hope you take advantage of this opportunity! The Education Library will be closed starting Spring 2018 due to renovations of the library area. We encourage faculty, students, and staff to prepare for the Spring 2018 closure by checking out resources and materials needed from the Education Library during the Fall 2017 semester. For more information, click here. Please join us as we “kick off” 2018 with our “New Year, New Career” VIP Job fair on Tuesday, January 16th, 2018. During this event candidates will have the opportunity to interview, and potentially secure a teaching position for immediate and future openings with Pasco County Schools. 1. Go to: www.pascoschools.org/employment and complete the “Teacher Interview and Hiring Event” application. 2. Once your application is accepted, you will receive an email asking you to rank the attending schools by preference. 3. Once received, we will send you a VIP Invite to the exclusive event with all of the details inside! 4. Meet our wonderful team of principals, administrators and staff! Interviews will be conducted on the day of the event, with the option of interviewing with multiple schools all one night! Apply HERE to secure your spot to interview, with the school of your choice. Space is limited for this event! Please email questions to work@pasco.k12.fl.us or call 813-794-2947. “A” Rated, state designated High Performing, state designated School of Excellence, US News and World Report America’s Best High School (2 years in a row) Somerset College Prep Academy (6th to 12th) and brand new Somerset Academy St. Lucie (PreK-5) will be doubling in size this upcoming school year. We will be hiring lots and lots of new educators. We have a very competitive pay scale and benefits package. We are also offering sign on or relocation bonuses. Please see the attachment for more information about the upcoming hiring fair. 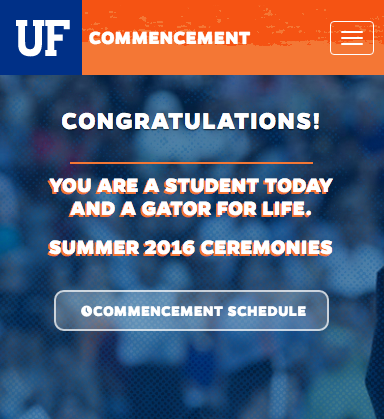 For other events happening at the University of Florida, please click here. 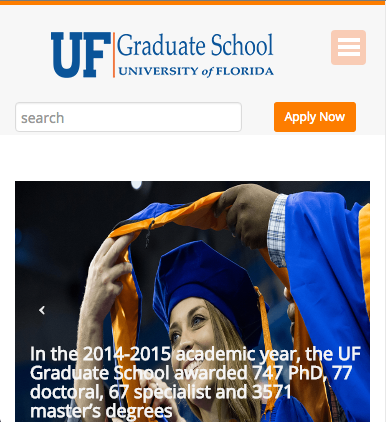 The UF College Reach-Program is hiring tutors to work with middle and high school students. Must be available Monday through Thursday from 3:30-6:30pm. Interviews will be held from Thursday, November 30-Friday, December 8. Further information located here. Santa Fe College’s Office of Community Outreach and East Gainesville Instruction is seeking to hire a part-time support specialist. This position will be located at the Blount Center (401 NW 6th Street) and will provide support services for outreach efforts both at the Blount Center and in the community. This is a great opportunity for someone who desires a meaningful position working in our community, and who is happy with part-time employment. Click here for more information. Resilience Charter School is currently seeking a full-time Social Studies Teacher to begin January 2018 at an innovative new school in Gainesville, Florida. Resilience is a pioneering, leading-edge educational environment that is designed to truly engage and empower students and teachers. Visit http://resiliencecharter.org/ and https://www.facebook.com/ResilienceCharter/ for more information about the school. Additional details located here. Come join our dynamic, collaborative team of dedicated educators! Join the exciting changes happening in Marion County Schools! Led by Dr. Heidi Maier, MCPS is embracing 21st century research-based approaches to education. This is an opportunity to join a grass roots movement to support children reaching their full potential. Don’t wait, these positions will not last! Positions include First through Fifth grade teachers; Elementary Music and PE teachers; High School Math, English, Science, and Social Studies Teachers; and Exceptional Student Education teachers at all levels. For more information contact Keven Norton at keven.norton@marion.k12.fl.us or apply here. Then join the Winning Reading Boost Volunteer Team! For just an hour a week, you can volunteer at Metcalfe or Idylwilde Elementary School beginning January. Through the span of 90 days, volunteers will embark on a journey with 2nd, 3rd, 4th and 5th grade students as they guide struggling readers through an engaging, 36-step learning experience that guarantees reading fluency. To sign up, you can reach out to Dr. Lisa Langley at langleylisa@coe.ufl.edu or 352-273-4106. During this event, volunteers will get to meet all kinds of resources in our area that work with educating children. The Alachua County Council of PTAs, Pre K ESE department of education, Pace Center for Girls, and so many more will be attending. It will be a great way to connect with future resources and possible job opportunities. Please see attachment and Facebook page for more event details. Hello, my name is Emma Cahoon and I am leading Florida Alternative Break’s Spring Break Children with Disabilities trip to Camp Boggy Creek. Please see attachment for details. 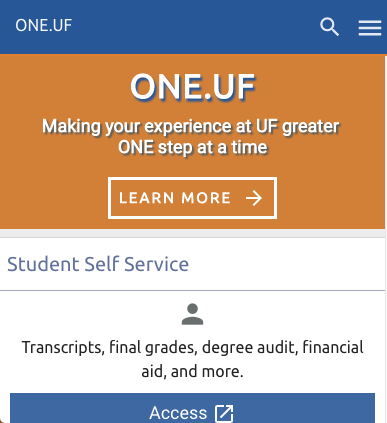 If you have any questions, please contact me at emmacahoon@ufl.edu or come into the Brown Center for Leadership and Service in the Reitz Union. Be a part of this new program to bring Head Start and Kindergarten students on a museum field trip. Work with museum educators and docents to welcome young visitors, prepare the museum classroom, and assist children with art-making activities. Join this successful outreach program for senior citizens who are unable to visit the museum. Art for Life volunteers work in teams to present and discuss works of art from the Harn collection and to make connections with participants’ past experiences and memories. Explore and activate current exhibitions at YOUR art museum. Become a M.U.S.E (Museum University Student Educator) for Spring 2018 to plan tours and activities that transform, surprise and challenge. All majors welcome. Weekly meetings on Thursdays from 3:30 – 5 p.m. First Meeting (and Museum Nights) is Thursday, January 11. Visit harn.ufl.edu/volunteer for the application and details. Submit the application to eking@harn.ufl.edu or drop it off at the museum by December 31. *Please note this volunteer opportunity (a one-semester commitment) will not be discussed at the Information Session. Please contact Elizabeth King, Visitor Engagement and Volunteer Coordinator at eking@harn.ufl.edu with questions. Education/Social Work Volunteer Opportunity in South Africa! One Heart Source is currently accepting applications for our 2018 Education & Social Work program in Cape Town, South Africa this summer! 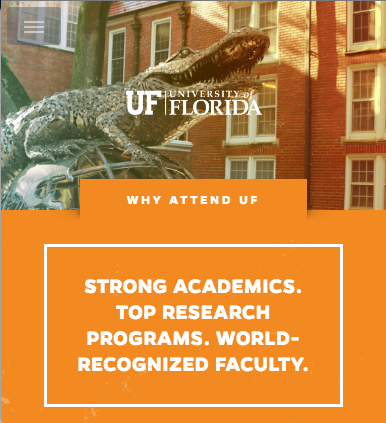 Students and alumni of University of Florida are invited to participate in a unique volunteer opportunity. Over 1,000 students from over 100 universities (from Harvard to Hong Kong) have served abroad with One Heart Source and gained the skills, experience, and network to take their lives and resumes to the next level while serving those most in need. Members will engage with both theory and practice, developing themselves as culturally sensitive and responsive mentors and educators, while exploring education as a driving force for social change. Details here. Spring 2018, Monday/Wednesday/Friday, Period 3. See attachment for course details and instructor information. The Department of Tourism, Recreation, and Sport Management is offering three interdisciplinary field-based STUDY ABROAD programs during Summer A 2018 on the theme of “Sustaining Humans and their Environments” open to all majors. Application deadline is March 1, 2018. Details here.